Pursuing one of the following 25 Best Online Bachelor's in Nursing could not only improve students' lives from a career perspective; it could also help improve the lives of others. By building a strong scientific foundation for nursing practice, individuals can effectively and sensitively care for those who need it. Each of the following programs is a Registered Nurse to Bachelor of Science in Nursing program. In other words, prospective students must already be licensed as registered nurses. Many also require applicants to hold an associate's degree related to healthcare. Designed for practicing nurses, each program can be completed either fully or partially online. Many are designed to be completed on a part-time basis, or offer students the option to do so. Coursework covers areas such as health assessment, caring for aging populations, pathophysiology, community health, and health promotion. Many programs have clinical requirements, which may be completed in a student's place of work. Others offer alternatives to clinical practice in the form of research projects or seminars. While RN-BSN graduates are already licensed nurses, the degree heightens their job prospects significantly as there is a growing demand for nurses with strong scientific foundations. Some BSN degree programs also build leadership skills, which could help nurses direct teams and earn greater responsibility in their work environments. According to the most recent report by the U.S. Bureau of Labor Statistics, Registered Nurses earned a 2017 median annual salary of $70,000. The demand for RNs is currently growing at a rate of 15 percent, which is much faster than average. A bachelor's degree in Nursing can enhance nurses' job prospects even further. Here are the 25 Best Online Bachelors' in Nursing for 2019! At Allen College students complete courses online and clinical experiences in Iowa. Because of this, applicants should be registered nurses in Iowa. The degree requires 124 credit hours, 54 of which are general education requirements that must be completed at another school. The RN-BSN curriculum takes five semesters to complete, with one to three classes per term. Courses include Transition to Baccalaureate Nursing, Nursing Leadership, and Application of Evidence-Based Practice. Michigan State University is a public land-grant research university in East Lansing, MI. It also operates a small campus in Dubai. MSU has one of the highest largest student bodies in the country. The university offers an online Registered Nurse to Bachelor of Science in Nursing program. Designed for practicing nurses, the program is designed to be completed on a part-time basis in five semesters. Courses include Community and Population Health Nursing, Health Promotion for the BSN, Integrative Studies in Social Science, Leadership Immersion, and Pathophysiology. The program includes clinical practice experiences, which can be completed on sites convenient to students. California State University – Stanislaus is a public university in Turlock, CA. It is a constituent of the 23-campus California State University system. U.S. News & World Report ranks Stanislaus No. 48 in Regional Universities West and No. 10 in Top Public Schools. The university offers a primarily online Registered Nurse to Bachelor of Science in Nursing program. Its core curriculum is comprised of nine courses, totaling 26 units. The program follows a sequential, cohort-based format with each course spanning 10 weeks. Students must meet on campus for an orientation, final health assessment, and community health clinicals. The degree is designed to be completed in one year. The University of Delaware is a public land-, sea-, and space-grant university. Located in Newark, it is the largest university in the state of Delaware. It is classified as a research intensive university with very high research activity by the Carnegie Foundation. U.S. News & World Report ranks the university No. 89 in National Universities and No. 38 in Top Public Schools. The university offers a fully online Registered Nurse to Bachelor of Science in Nursing program. Nursing courses include Community Health Nursing, Critical Issues in Health Care, Pathophysiology, and Wellness and Health Assessment. The program also requires 84 clinical hours of practicum experience. East Carolina University is a public sea-grant university in Greenville, NC. The National League for Nursing has labeled ECU's College of Nursing as a "Center of Excellence" three times, most recently in 2015, an accolade that will stand until 2020. The college offers a fully online Registered Nurse to Bachelor of Science in Nursing program. The flexible plan of study allows students to take two courses at a time. Courses include Critical Thinking to Facilitate Role Transition and Nursing in a Global Society. The program does not require students to complete clinicals or placement exams. The degree is designed to be completed in four semesters, totaling 16 months. The University of Texas at Arlington has a BS in Nursing that specializes in preparing students for the National Council Licensure Examination. It boasts a first-time pass rate of 90 percent. The program consists of 51 credit hours, with the potential of finishing in 15 months. Students take classes online but participate in clinical experiences at hospitals in Texas. There is a very particular order of courses that students will follow throughout the program. Applicants must complete 70 credit hours before being accepted into the program. Located in Iowa City, the University of Iowa is the state's flagship institution. It is the oldest and second-largest university in Iowa. A public research university, it is classified as a Doctoral University with Highest Research Activity by the Carnegie Foundation. The university offers an online Registered Nurse to Bachelor of Science in Nursing program. Sample courses include Community and Public Health Nursing, Healthcare Finance, Leadership and Professional Engagement, and Professionalism and Patient Safety. The program includes a practicum experience in Iowa or in Swaziland, Africa. Students must also complete a Leadership course project at an Iowa health care agency. The Ohio State University is a public flagship university in Columbus, OH. It has the third-largest university campus in the United States. It is counted among the nation's "Public Ivies." A land-, sea-, and space-grant institution, OSU is classified as a doctoral university with the highest research activity by the Carnegie Foundation. The university offers a completely online Registered Nurse to Bachelor of Science in Nursing program. Sample courses include Concepts in Community Health Nursing, Evidence Based Practice, Evolving Concepts in Leadership and Management, and Foundations and Contemporary Issues for RNs. The program is available both part-time and full-time. George Mason University is a public university with campuses throughout northern Virginia. It also operates a campus in Songdo, South Korea. It is classified as a research university with the "highest research activity" by the Carnegie Foundation. The university offers a fully online Registered Nurse to Bachelor of Science in Nursing program. The program consists of 10 courses totaling 30 credit hours. Major courses include Community Health and Epidemiology, Leadership and Management of Health Care, and Vulnerable Populations. The program has full- and part-time options. The degree program can be completed in as few as two semesters. The University of South Florida is the fourth-largest public university in the state of Florida. Located in Tampa, it is a member institution of the State University System of Florida. A space-grant university, it is classified in the top tier of research universities by the Carnegie Foundation. The university offers a fully online Registered Nurse to Bachelor of Science in Nursing program. Students can choose to focus on clinical excellence, leadership and management, and/or patient and staff education. The program plan includes courses in Information Technology Skills for Nurses, Educational Role of the Nurse in Healthcare, and Population Health. The degree program can be completed in three full-time semesters or five part-time semesters. The University of Central Florida is a public state university in Orlando, FL. It has more students enrolled on campus than any other higher education institution in the United States. U.S. News & World Report ranks the university No. 87 in Top Public Schools and No. 10 in Most Innovative Schools. It is also ranked No. 14 in Best Online Bachelor's Programs. The university offers an online program leading to a Bachelor of Science in Nursing. Students have the option to complete the program in a hybrid, Health First cohort format at the Center for Learning in Rivercrest Plaza in Melbourne, FL. In any case, courses include Health Promotion Across the Lifespan, Pathophysiology for Nursing Practice, and Public and Community Health Nursing. Texas Tech University Health Sciences Center is a multi-campus state university. In addition to its main campus in Lubbock, TTUHSC operates campuses in the Texas towns of Abilene, Amarillo, Dallas, El Paso, and the Permian Basin. It is one of four constituents of the Texas Tech University System. The university offers an online Registered Nurse to Bachelor of Science in Nursing program. Each student enrolled in the program is assigned a dedicated faculty mentor. Nursing support courses include Anatomy and Physiology, Lifespan Developmental Psychology, and Statistics for Life. Upper-division major courses include Caregiver, Community Health, Family Nursing, Leadership, and Professional Nursing Issues. The University of Wisconsin – Madison is the oldest and largest public university in the state of Wisconsin. It is the flagship campus of the University of Wisconsin System. A land- and sea-grant institution, it is classified as a doctoral university with highest research activity by the Carnegie Foundation. It is also counted among the nation's "Public Ivies." The university offers an online Registered Nurse to Bachelor of Science in Nursing program. The 33-credit curriculum includes major courses in Chronic Care Management, Information & Health Technology, and Leadership & Management. It also includes 135 clinical hours at a site local to the student. The program can be completed in 18 months. Appalachian State University is a public university in Boone, NC. It is a member institution of the University of North Carolina system. U.S. News & World Report ranks the university No. 8 in Regional Universities South, No. 3 in Top Public Schools, and No. 2 in Most Innovative Schools. The university offers a fully online Registered Nurse to Bachelor of Science in Nursing program. Major courses include Concepts of Professional Nursing, Health Assessment, Nursing Care of Older Adults, and Nursing Informatics. The program includes non-traditional clinical requirements involving research and projects. It is designed to be completed on a part-time basis in one year. Texas A&M University is a public state flagship university in College Station, TX. It is a founding member of the Texas A&M University System. It has the second largest student body in the United States. A land-, sea-, and space-grant institution, it is a member of the prestigious Association of American Universities. 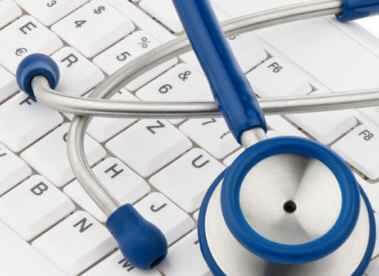 The university offers Healthcare Administration Degree's top-ranked online bachelor's degree program in Nursing. The university's Registered Nurse to Bachelor of Science in Nursing program can be completed entirely online. Courses include Care of the Older Adult, Health Promotion Across the Lifespan, and Pathophysiology and Pharmacology for the Registered Nurse. The flexible curriculum can be completed in three to five semesters, or one to two years.